One of the most important and yet fun parts of the season is planning your race schedule. There are many variables to consider. You don’t want to race too much or jeopardize the most important races of the season. On the other hand you want to race enough to keep motivation high, enjoy the sport and supplement the training with the right races that prepare you for the demands of the key events. Many triathletes need to improve their run and trying to figure out how to build the run with race events that compliment and support the A race is not an easy decision-making process. For many athletes, a long course triathlon or two for the season usually become the key events since they will invest the most training time, and money for these races. But some athletes might use a long course triathlon early on in the season to build their base fitness early then later in the season focus on sprint or Olympic triathlons. 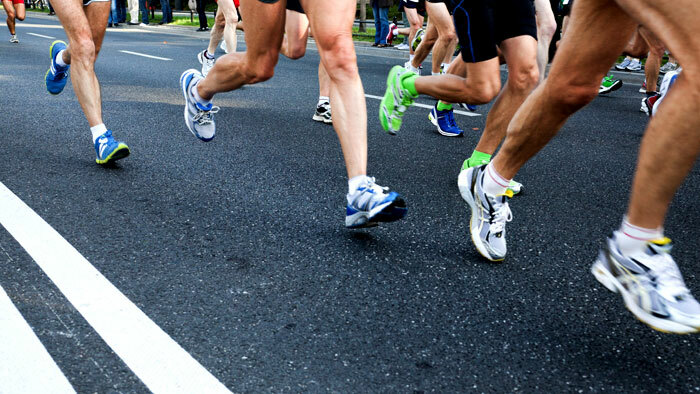 Prioritizing which races will be your goal events is the first step in the planning process. Once you’ve determined the key race or races you’ll want to begin adding other races to the schedule which compliment those key races, and your goals. How they compliment the key events depends on your needs, strengths and weaknesses. When planning your season, the risk vs. reward must be considered. What is the opportunity cost of doing a race event which requires a long recovery period, or increases the risk of injury, which could affect your key event plans? The closer these risky events are to your key races, the more your main goals for the season are put in jeopardy. Even if the athlete can come out of the event unscathed from injury, the fatigue jeopardizes the quality and consistency of the training the athlete is able to do in the final weeks of preparation. Athletes training for sprints or Olympic triathlons could do a 5K to help supplement their speed training for those events. These types of events don’t require a long recovery period, and help the athlete prepare specifically for the intense run speeds off the bike. However, athletes training for an Ironman that think they need to run a marathon to prepare correctly aren’t really choosing an event that supplements or supports their goal. A marathon actually risks more injury and the recovery period post-race means lost valuable training time. If an athlete wants to do a full marathon at the end of the season, after the main goal events, then that makes more sense, as the risk is eliminated. Of course, one doesn’t need to get injured for the entire off-season, so making sure you are ready is still an important decision. Half-marathons are great events with lower risk than a full marathon, when preparing for a long course race, but a 10K or 15K might be a better choice, as the intensities are still high, and the distance is still a good test of your ability. For a long course triathlete, even using an Olympic triathlon in the final weeks of preparation might be a good supplemental training race to prepare for the demands of race day and to see how their training is progressing. Sometimes, just getting out and racing is good for the mind and motivation. Small lessons can be learned at these B priority event that can be crucial to success at your big race. From nutritional decisions to equipment or other logistical challenges which weren’t even considered until the stress of race day, these events are a the perfect proving ground. Keep your eyes on the prize, making sure the race schedule you choose supplements your goal events and doesn’t put them at risk. If you find yourself questioning if it is a good idea, chances are the best choice is to be conservative and go with the least amount of risk, and simply maintain consistency of training, so you can enjoy accomplishing your goals.